One of the quintessential heirlooms, known for eccentric beauty and off-the-charts taste, Striped German is big and meaty – up to 2 lbs. – with red swirls on yellow, making each fruit unique inside and out. 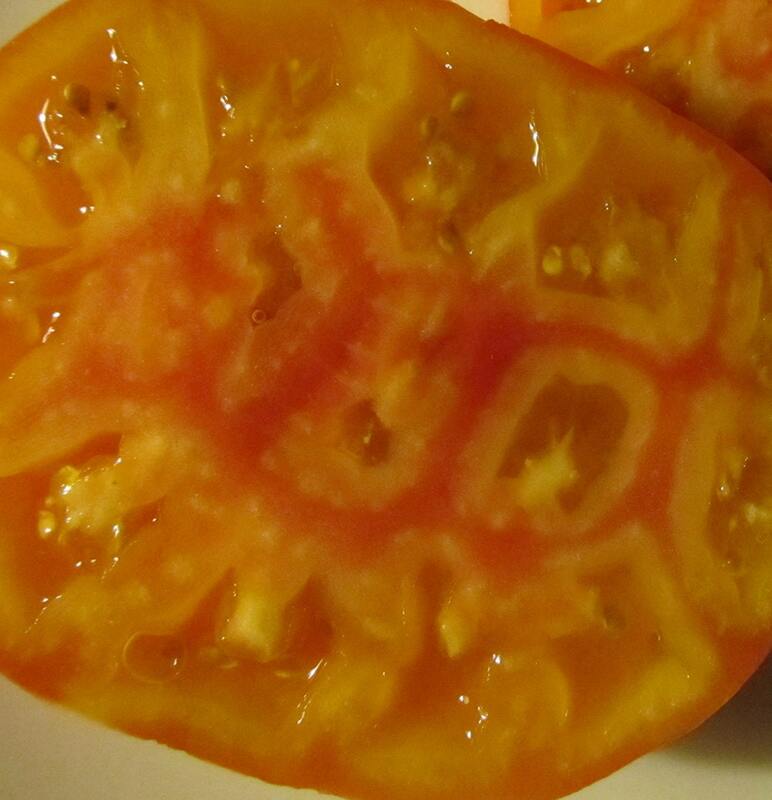 A small seed cavity makes it an excellent slicer – a cross-section is a marvel to behold. Its complex fruity taste is low-acid without being low-flavor.